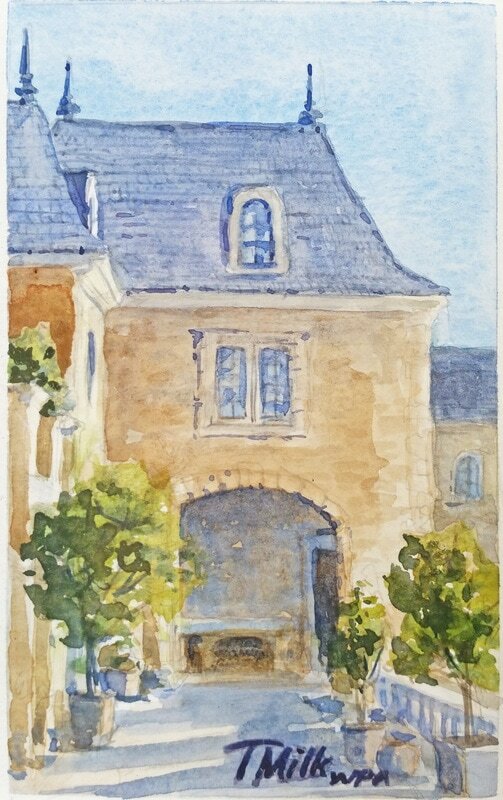 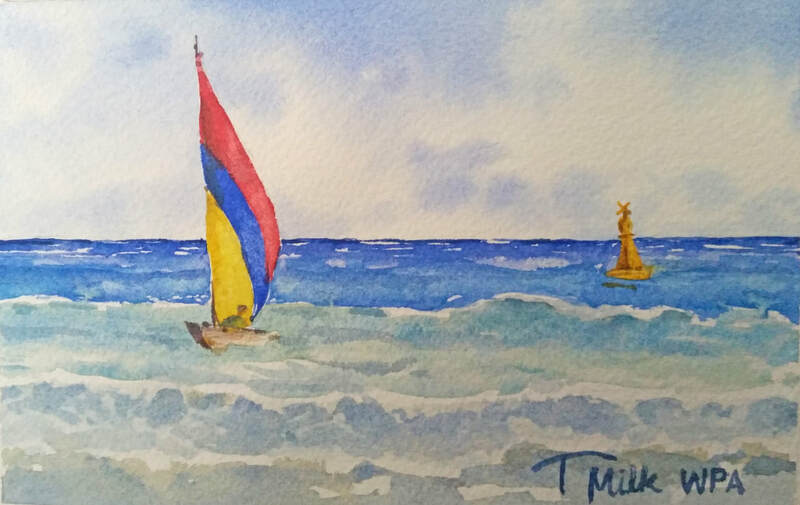 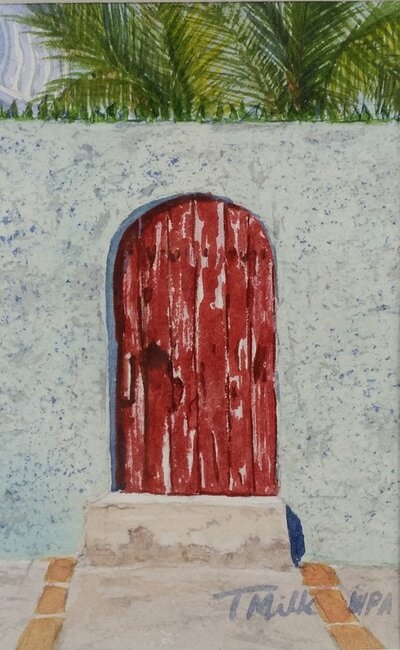 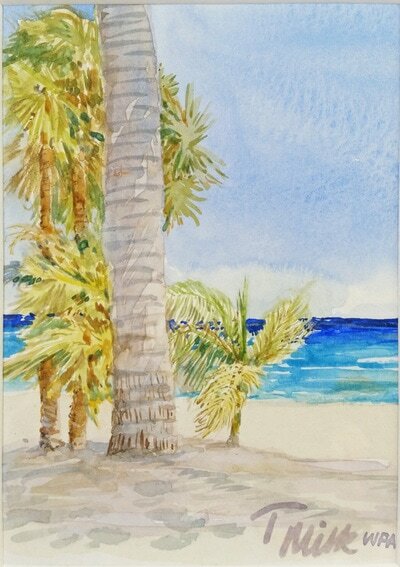 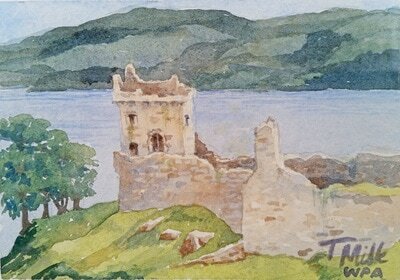 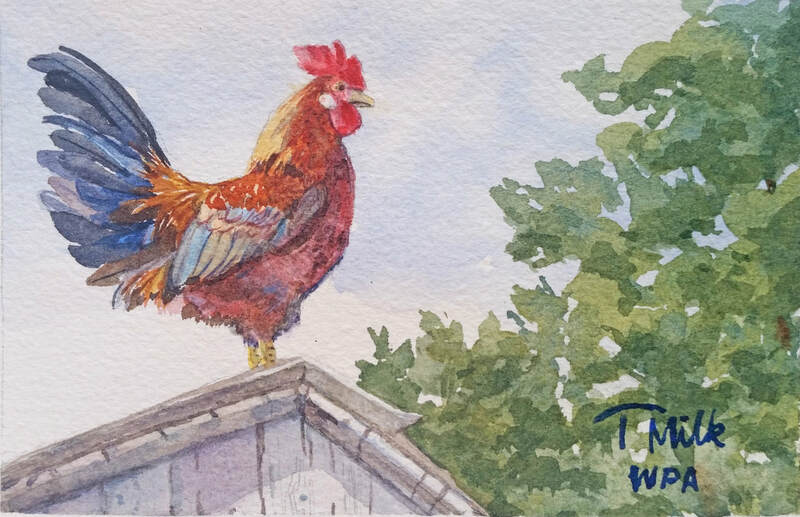 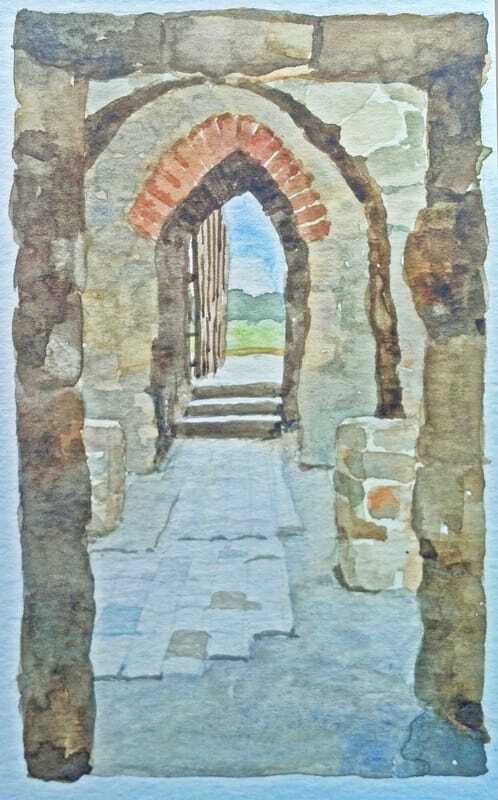 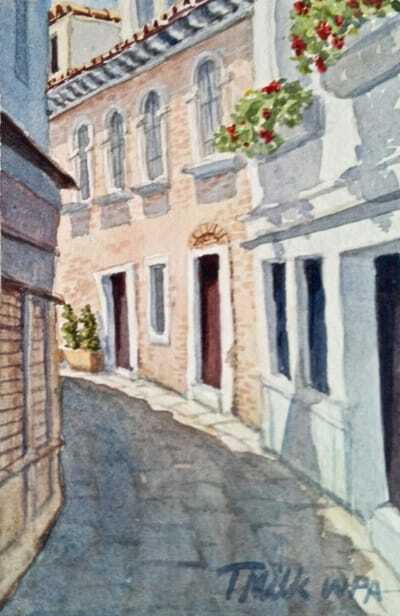 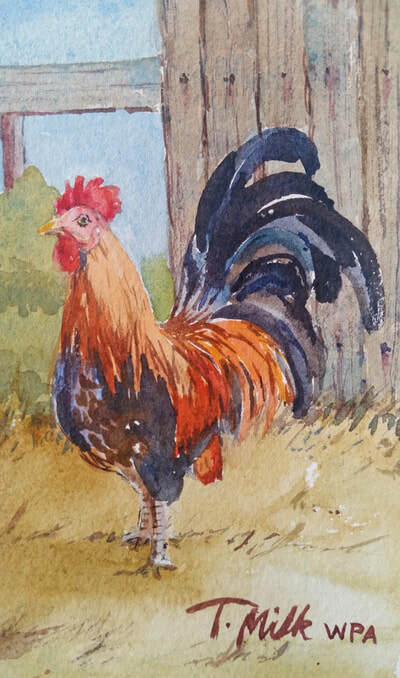 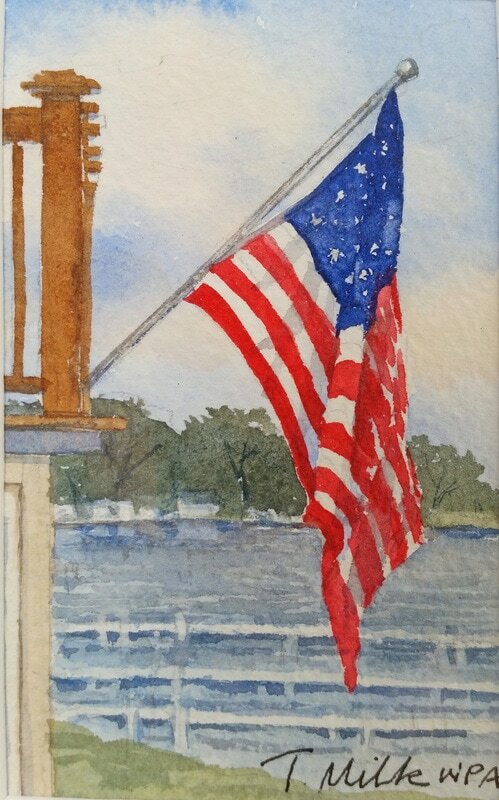 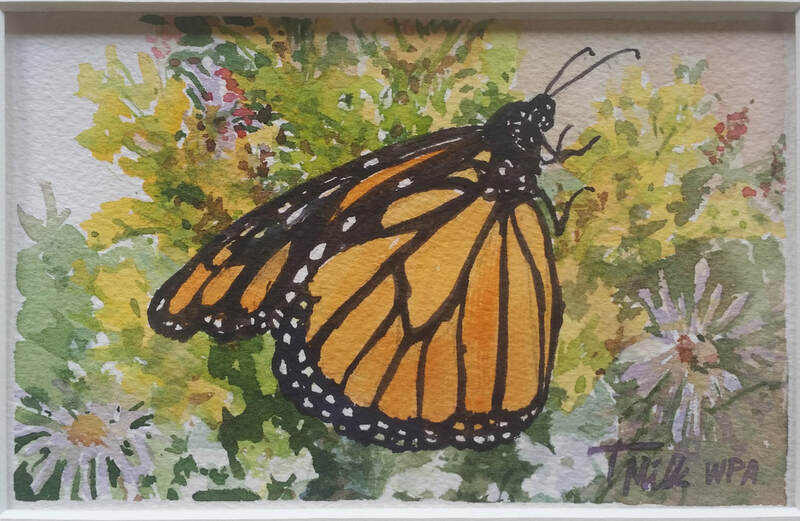 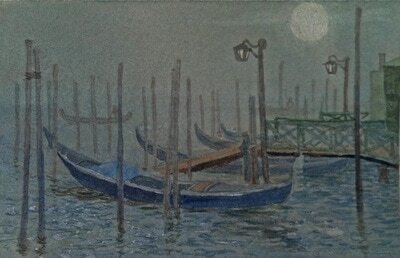 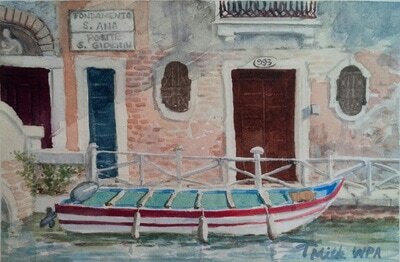 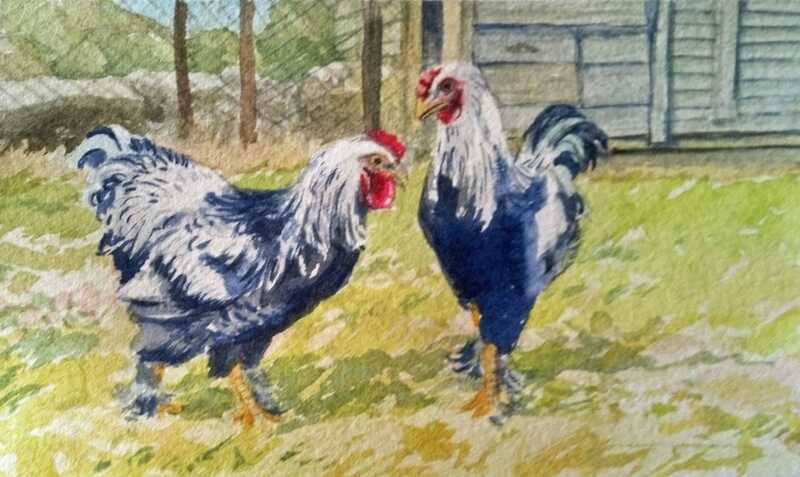 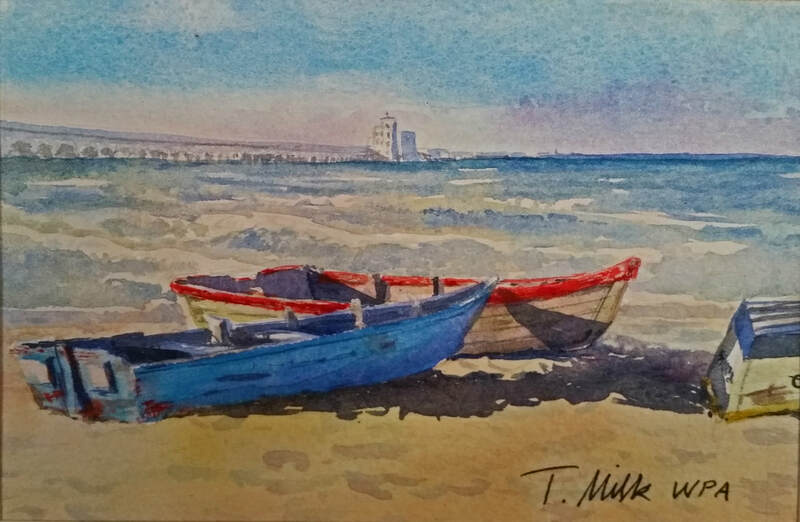 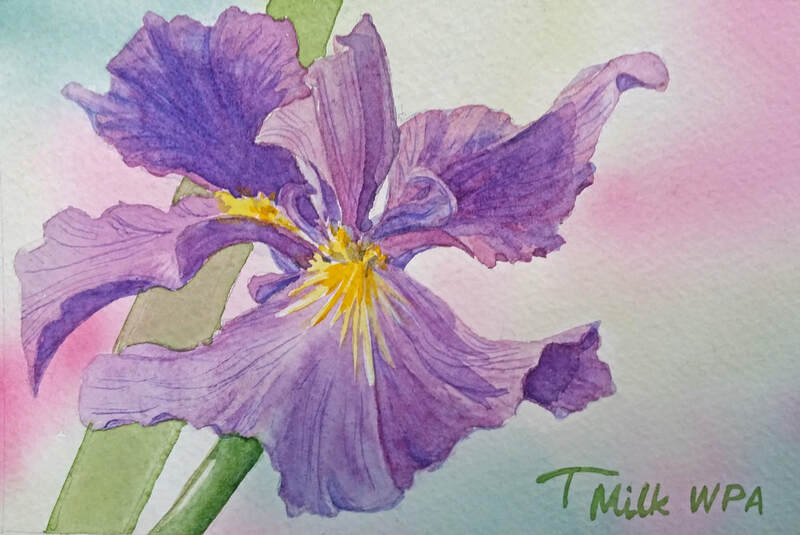 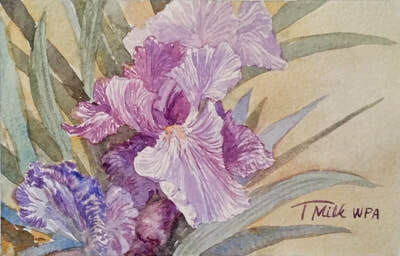 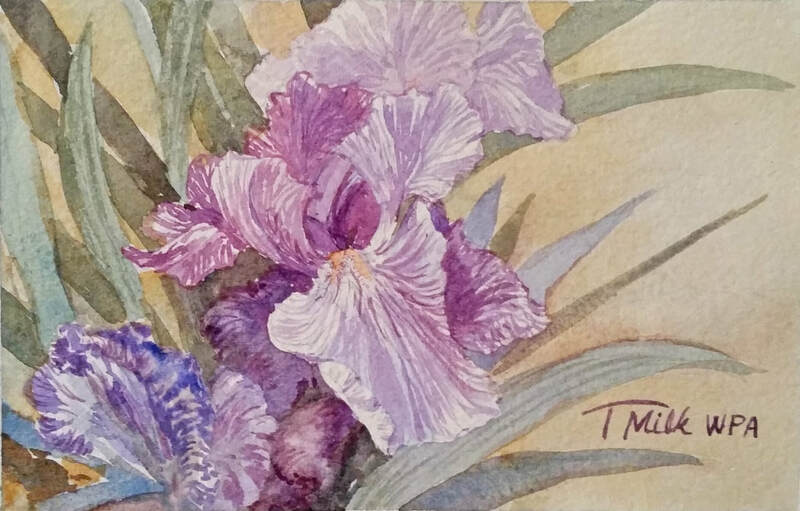 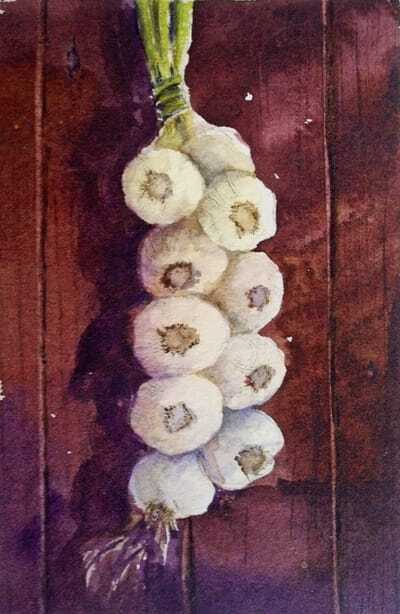 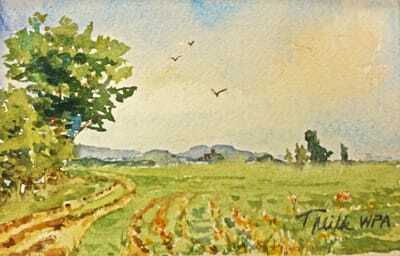 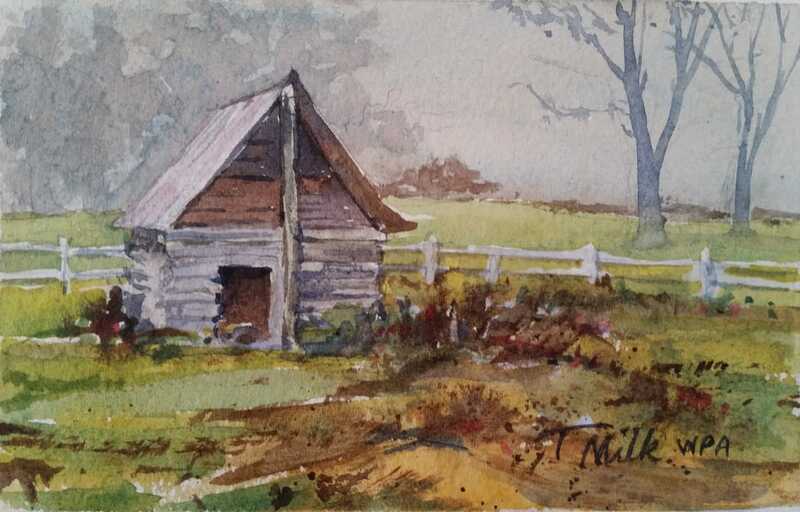 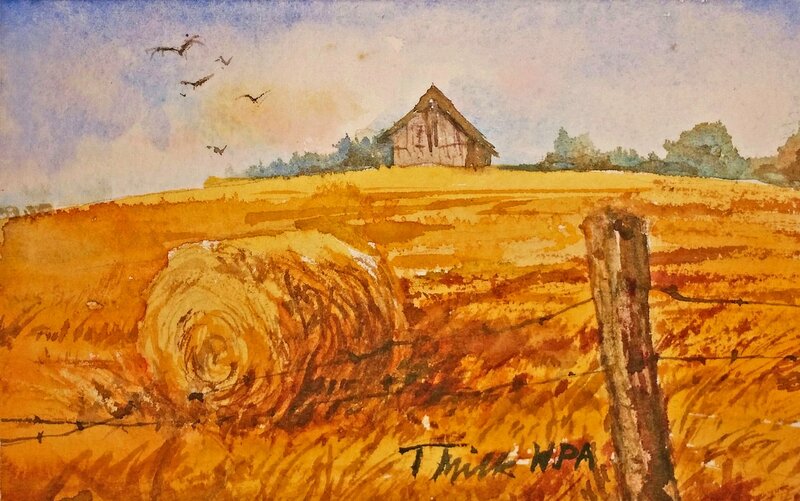 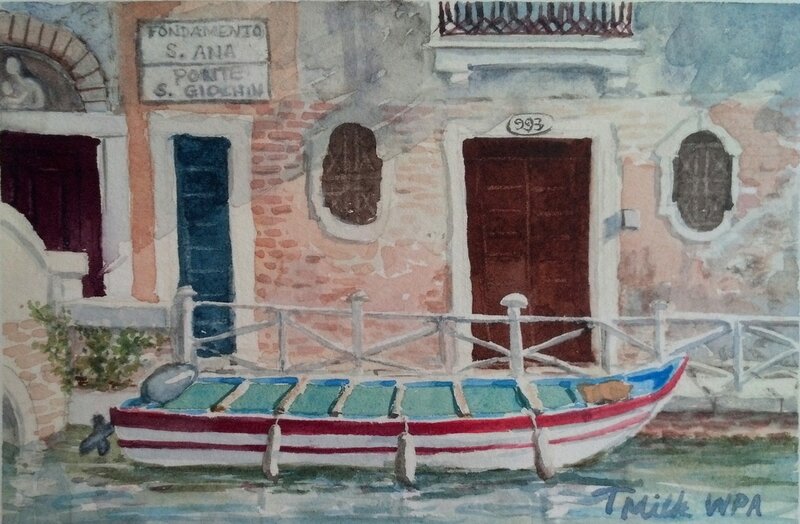 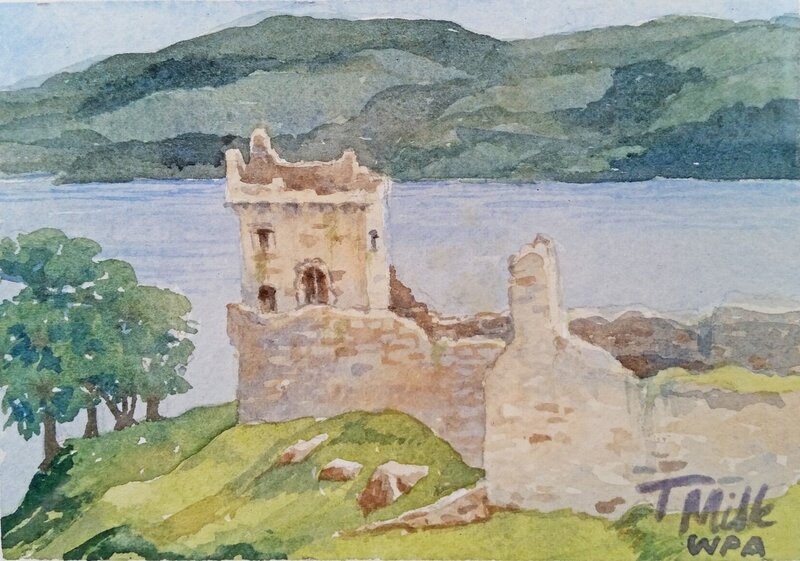 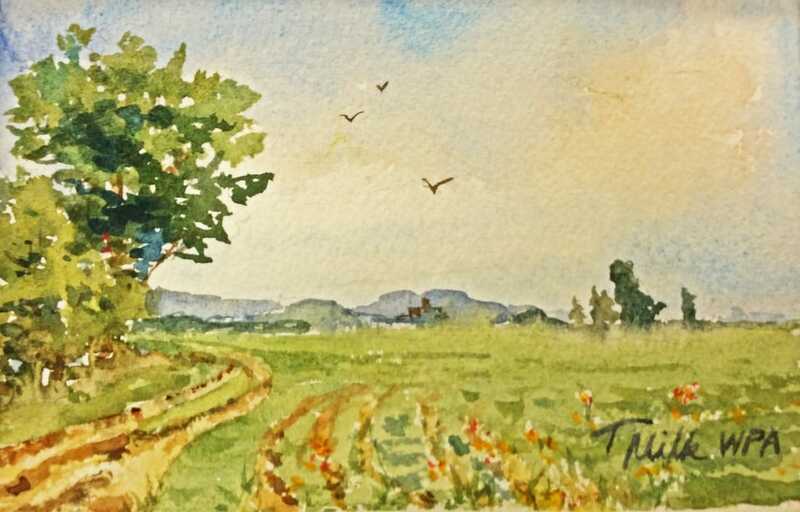 It is a small watercolor (less than 4" x 5") painted with whiskey and watercolor, and painted by a signature member of "The Whiskey Painters of America". 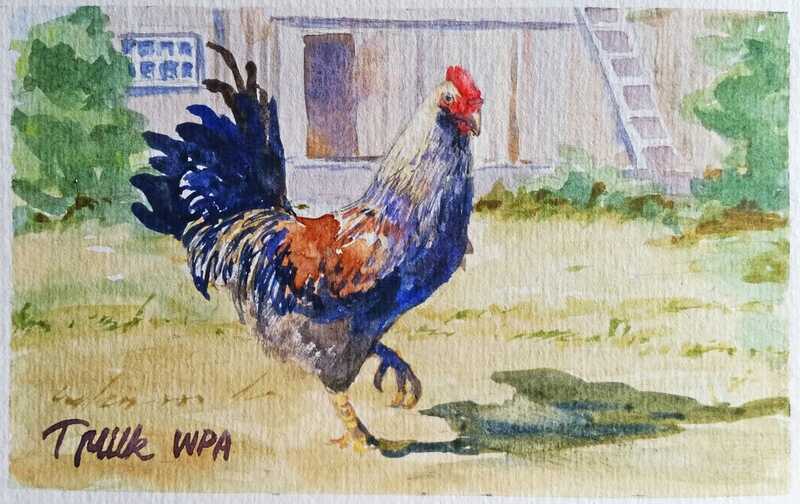 Every painting is signed with the initials W.P.A. 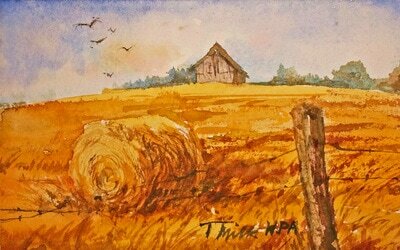 and each comes with a certificate of Authenticity.